1. Feeding speed: 8, 12, 16M/min. 2. 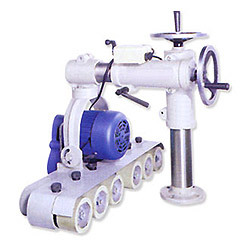 Feed wheel diameter: 100mm. 3. Spindle: 6 pcs. 4. Working motor: 1/2HP x 1. 5. Machine size: 720 x 720 x 750mm. 6. Machine N.W./ G.W. : 80kgs.